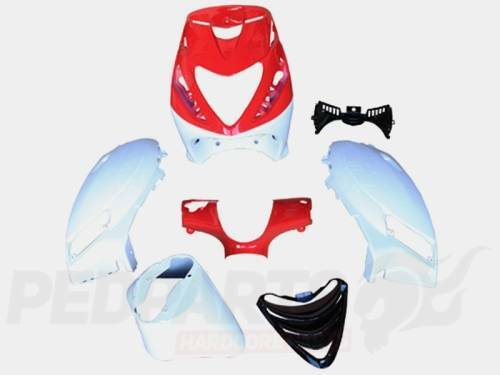 Piaggio Zip SP body panel kit. These are direct replacements for the Standard Zip SP panels but without the genuine price tag. Includes the front grille panels. These also will fit directly to air cooled zips as an upgrade. We have sampled many different panel manufacturers before settling for these ones from Dutch company DMP. Price comes before quality here and these are high quality branded panels which will not split, fade or shatter!